September 20, 2011 will hopefully go down as an important day in the history of Missouri. This marks the day that a group of folks–including this foundation—filed ballot initiative language with the Missouri Secretary of State to increase the cigarette tax in Missouri by 80 cents per pack. Hopefully November 6, 2012 will also go down as an historic day…because that is the day Missouri voters will pass this most needed cigarette tax increase. 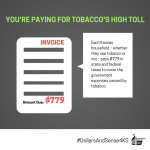 Currently Missouri has the lowest cigarette tax in the United States – 17 cents per pack. The national average is $1.46 per pack. 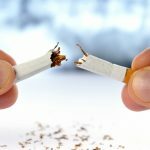 Consequently, Missouri has some of the highest smoking rates, lung cancer rates and heart disease rates in the country. Increasing tobacco taxes is a proven way to decrease smoking rates and cigarette consumption, especially among children. Tobacco use is the most preventable cause of premature illness and death in the United States and Missouri. Tobacco use accounts for at least 30% of all cancer deaths and 87% of lung cancer deaths. Smoking kills more people than alcohol, AIDS, car crashes, illegal drugs, murders, and suicides combined. Annual health care costs in Missouri directly caused by smoking are $2.31 Billion and $532 million is spent on the state’s Medicaid program as a result of smoking. The approximately $300 million raised annually by this 80 cents per pack tax increase will be used to pay for higher education and K-12 schools and to provide a comprehensive tobacco prevention and public health programs. Between now and November 2012 it is important for all of us who want to both reduce the costs of health care and improve our health outcomes to do all we can to make sure this ballot initiative is voted into law.